One thing you say a lot is that the universe doesn't measure time and that time is a human concept. Can you expand on that? Yes, great question. I hope this helps you understand. 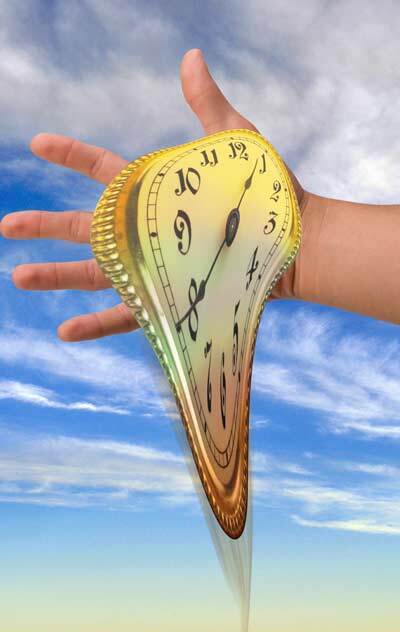 Time was invented by humans and is used by humans as a relationship tool. Think of the universe as an environment creator, similar to a computer program. The environment you live in, including all things you might consider "good" or "bad," is of your own creation. You created your environment by the decisions you made and the amount of energy you invested in these creations. No soul can evolve without spiritual relationships, and the environment you created is nothing but relationships. You have relationships with all the people you can see in your environment, as well as all the creatures and objects around you. These exist in your universe because you have chosen them to be here. If you can grasp this concept, you can learn how to manipulate your environment by harnessing the energy of your soul. The most powerful thing about this statement is that your ability to create is only limited by your ability to believe what you can accomplish. The process for this is well defined on the website, but starts with Spiritual Enlightenment. Think of one thing you would change right now in your environment, what would it be? Spiritual enlightenment requires you to invest energy in what you would create. It is totally a research task. Sounds easy enough right? The universe adds Temptations to take you from the path you wish to achieve. It truly is the perfect computer program for evolving your soul. The next steps, Spiritual Awareness and Spiritual Growth teach you how to implement and invest energy in creating the future you wish to experience. Suppose you picked something you want to change in your environment like I want to lose 15 pounds. How long will that take? And that is why the universe doesn't measure time. It also defines why time is a human concept. How fast you will accomplish the goal of losing 15 pounds is totally based on the decisions you will make and the amount of energy you will work at changing your environment. If you exercise three hours a day and take in no more than 1,000 calories a day, you will lose 15 pounds faster than if you decide to buy some quick-fix diet machine or a bottle of pills that require no investment of energy. Either way, you will not know exactly how long it will take. The universe doesn't have time, so it doesn't care. The universe does measure energy. Since no two bodies are the same, the amount of energy to lose 15 pounds is different for everyone. But it does know how much energy you will need to invest to make this goal a reality, and that is not shared information. This applies to anything you want to change in your environment. Here, "spiritual" means to look within. It only when you can connect to what your soul sees that you learn to evolve it. "Evolve" means to create a different version of yourself. In the next life, when you cross over, there is no time or energy required to do anything. All is instant. What you think or create simply becomes. Your relationships are also instant. All is known, there are no private thoughts. When I crossed over from my near-death experiences, I had a taste of it. I would ask, "Am I dead?" The universe would reply "You were, now you're alive...in terms you can understand right now." In this version of ourselves, work, effort, and energy are required to evolve. It is the perfect yin-yang balance compared to the next stage of your soul's evolution where all is instant and ongoing. Today, your soul is in a vessel that is deteriorating to a point where it can no longer exist. Learning how to invest in what you want to achieve is considered a privilege you have earned to be here. Your souls can't learn what to efficiency create instantly, if you don't learn how to create when it takes effort. And if you choose not to invest energy, you have still made a decision the universe will use to create your environment. It will stay the same, or decline to prompt you into action. Complaining or pointing fingers is not investing energy in creating the future you want to experience. You can only evolve your own soul and how evolved you become, and all the wonders you have the option to experience are up to you. If you take the worry of "how long will it take" out of the equation, you'll achieve more, in less time, than you can imagine right now.